I highly recommend AirBnB as they are extremely affordable and provide you an opportunity to experience the local scene. We went in the winter time and it was cold. A lot colder than I expected. So be sure to pack appropriately. I imagine the summer being comfortable. I am in love with goulash so would definitely recommend trying it at least once or at every restaurant like me. It was delicious! Pack an extra set of clothes in your carry on and bring a few warm weather items if you’re going somewhere cold. Don’t make the same mistake we did and be in a situation where your luggage didn’t arrive. Train travel is not like plane travel. You probably need to show up about 45 minutes before the train is scheduled to leave. Maybe later if you’re a risk taker. Ask someone for a local cuisine recipe. I wish I did this for goulash. The theme of the travel day was “I hope we catch our plane”. We landed at JFK and taxied to our gate right on time. No problem, right? Wrong. Once we got to the gate, we sat on the plane for 30 minutes waiting for the jetway to actually get off the plane. With only an hour to get to our next flight, I incessantly looked at my watch checking the time seeing the every precious minute tick away while hoping we make our next flight. The jetway finally arrived and so now the process of deplaning began which seemed to move slower than molasses. Once we got off the plane, we checked the monitors for our gate. We found the gate number on the screen and started to head in the wrong direction. Luckily, I noticed before we got too far. Turning around we started running through the airport pushing people out of the way. We made it to our gate to find out the flight was 30 minutes delayed. A sigh of relief. Thank goodness, we made it and were able to grab some food before we started boarding. On the plane, we settled in for the next leg to Berlin. Since our flight out of JFK was 30 minutes delayed we were then, of course, delayed coming into Berlin. Since we had a layover in Berlin and it was our first stop in the EU, we had to go through customs. The airline being aware of the late arrival and the several passengers who had connecting flights, they allowed those who needed to catch certain flights jump to the beginning of the line. Feeling a bit of relief after we made it through customs quickly, we started to head towards the terminal for our final flight. Running outside in the bitter cold, we made it to the terminal. Thinking, “oh my goodness, we made it but now we need to go through security”. Coming around the corner, we saw a queue that must have been about 50 yards long. Now, I am panicking and we try to ask the security guards if we can cut the line since we were trying to catch a flight. With the language barrier, they pointed and gestured to a certain section. We interpreted that as cut the line over there. So, we jumped ahead of about 500+ people with one lady who looked like she was going to stab me for cutting. Shouting at me in German, I looked at her trying to convey sorry but not sorry, I need to get to my plane. Now, waiting to go through the metal detector and our bags through the x-ray it felt like it was taking an eternity but we finally made it through. Coming around the corner we see our gate! Hooray we made it. The lady scanned our tickets and we boarded a bus to take us to our plane. The bus stopped in front of the plane. We got off and stood in the blistering cold to walk up the stairs to the plane. On the plane and we find our seats. We both had a sigh of relief once we were buckled. We were definitely not thinking about our luggage as we ran between connections but when we arrived in Budapest we made our way to the luggage carousel and waited. Waited a little longer… then a little longer… The flight was not full so we decided to speak with the lost luggage counter. Sure enough, our bags did not make it to Budapest. Dang. All of our winter clothes were in those bags. Luckily, there was another flight from Berlin to Budapest that evening. 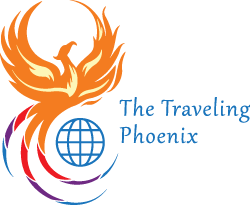 We provided our information and AirBnB location with the hopes our luggage would be delivered. Our apartment host coordinated a taxi to pick us up from the airport. The taxi was still waiting even after being late due to the lost bags situation (thank goodness). We got into the cab that took us right to the front of the building with our host waiting for us. She showed us around the apartment and provided us some suggestions for the city. We got somewhat settled into the apartment and freshened up a bit after a long flight. Trying to stay awake we decide to walk around the city a bit and take in the sites. Had some lunch and a few beers at a cafe below our flat. We then came up with a Plan B should our luggage not arrive that evening. Since we were staying in an apartment with a washer and dryer, we decided that we would shower, wash, and dry our clothes. By morning, they would be nice and clean. Then we would head out first thing in the morning for warm weather clothes. After we devised what seemed like a perfect plan, we headed up to the flat to nap for a few hours. Later that evening, we decided to have some dinner and some drinks at a bar near our flat. Fighting exhaustion, we headed back up to rest and hopefully get our bags that evening. We received a phone call earlier that evening saying we would get our bags between 9 PM – 11 PM. Already 11:30 PM we decided to call for an update. Good news! The bags were en route… Bad news, the bags would not be dropped off until 12:30 AM. So we decided to check out the bar, Skål,(Budapest, Dohány u. 1, 1074 Hungary) below to keep us occupied. Probably not the best to drink alcohol when you’re sleep deprived. Oh well, we had a few drinks there and then went up to the apartment. Trying to stay awake and watching Netflix, we finally received the phone call we have been anticipating all day. The bag drop off. My husband went down to meet the delivery guy to be met with a sea of people smoking and drinking. After looking around for a few, he connected with the man for the bags. HOORAY! We have our bags with all of our warm clothes. The next day was absolutely beautiful. Cold, but clear skies. So, we decided to walk up the hill on the Buda side to the Citadel. From there you can see just about the entire Pest side of the city and a pretty good view of Buda. 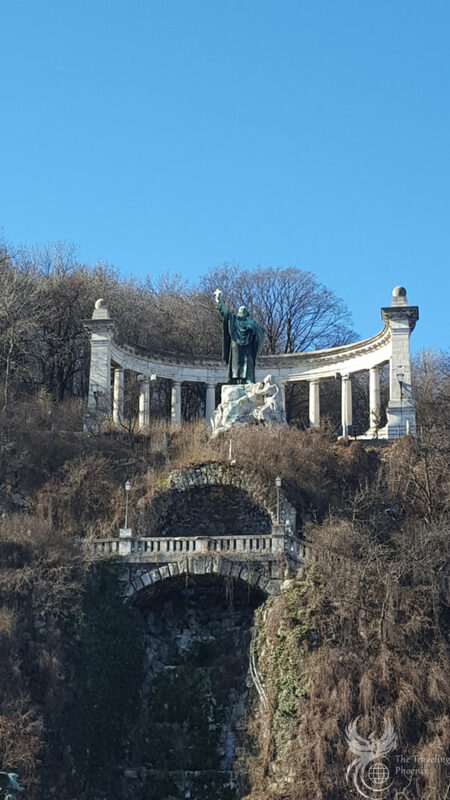 On our walk, we passed the Szent Gellért Monument and made our way to their Statue of Liberty. The Citadel was used for the high ground to help defend the city against enemies. 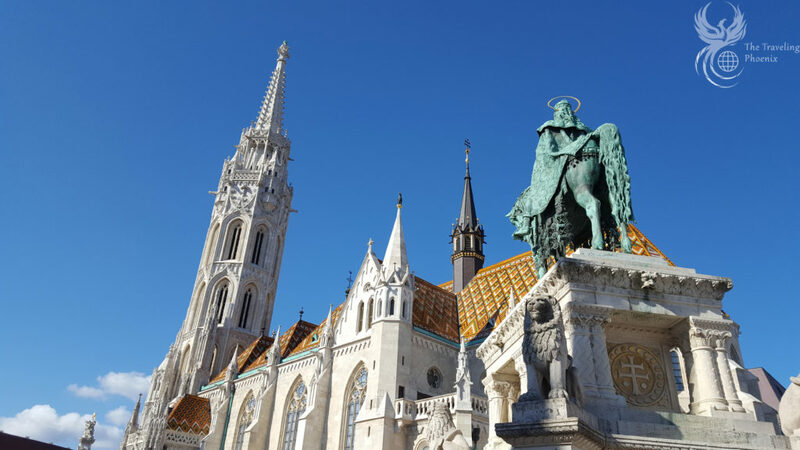 Next, we headed over to the Buda Castle and the Fisherman’s Bastion. 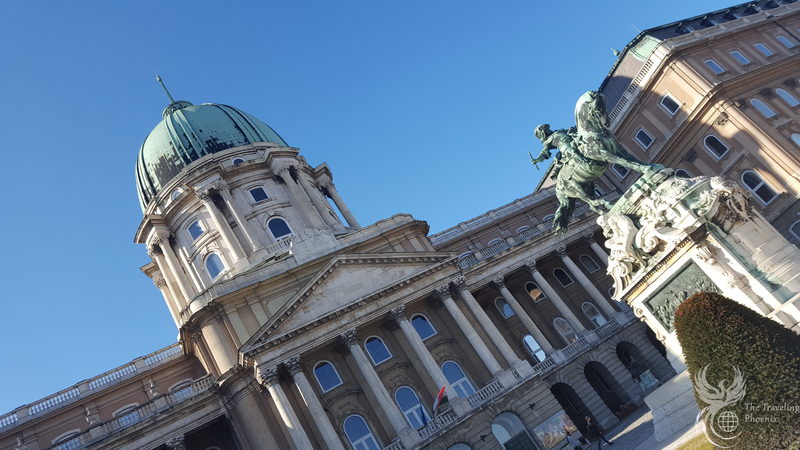 We did not tour the castle but it’s now home of the National Gallery and the Budapest History Museum. 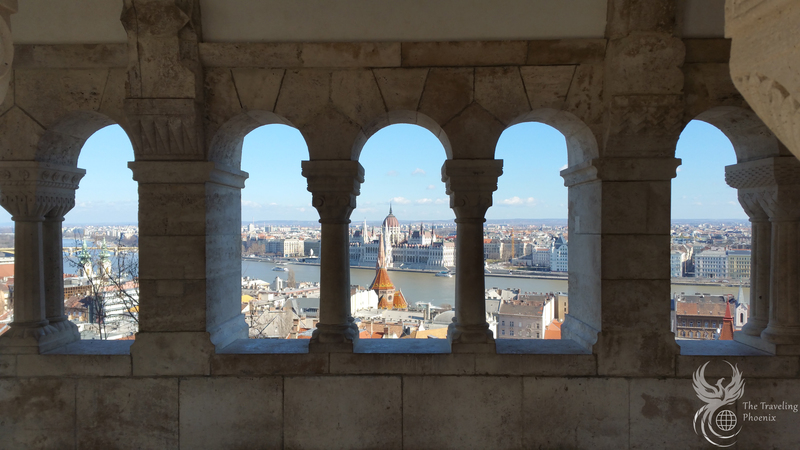 The Fisherman’s Bastion is a beautiful terrace that looks over the river and the parliament building. We made our way to the Matyas Templom At Budapest’s Castle where there appeared to be a wedding. Since we noticed the wedding, we did not try to tour the church. 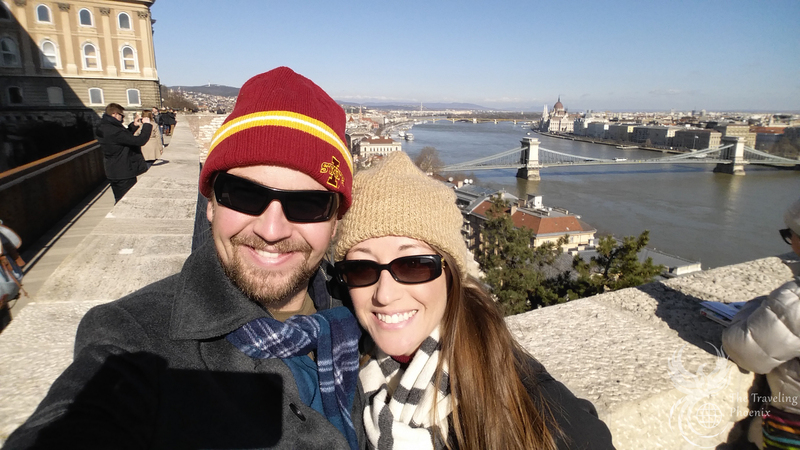 Now a little hungry in Hungary, we headed to a local cafe for some local eats and brews. 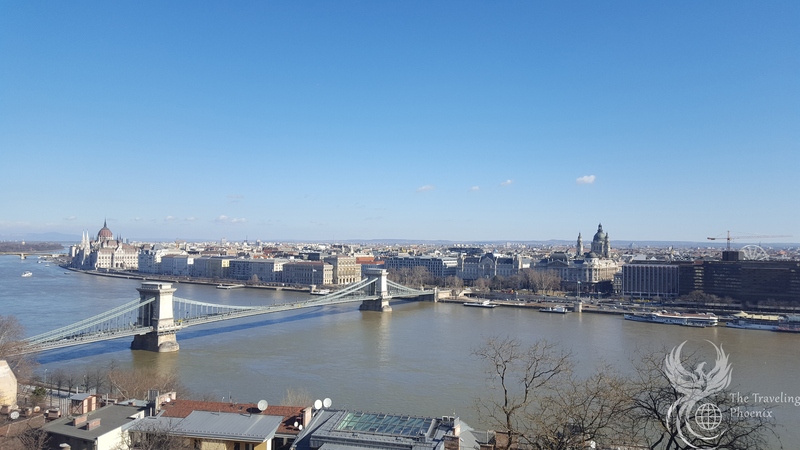 We headed down the hill to cross the bridge in the blistering cold wind to see the Shoes on the Danube and the Parliament Building. 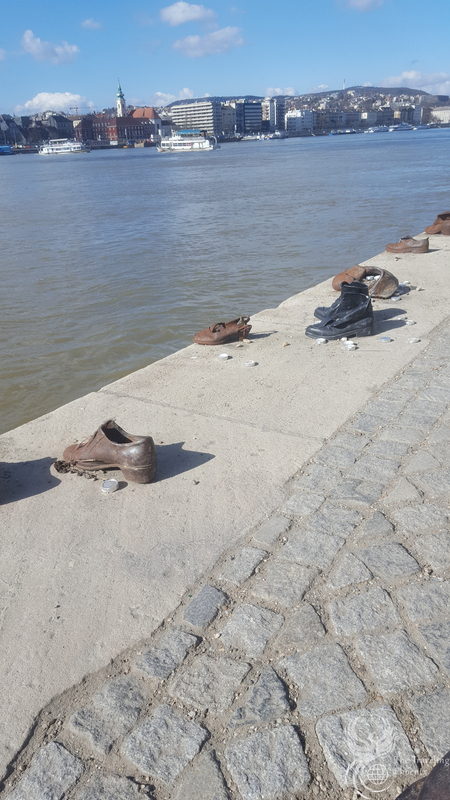 The Shoes on the Danube is a memorial to those who lost their lives at the hands of the Arrow Cross during WWII. 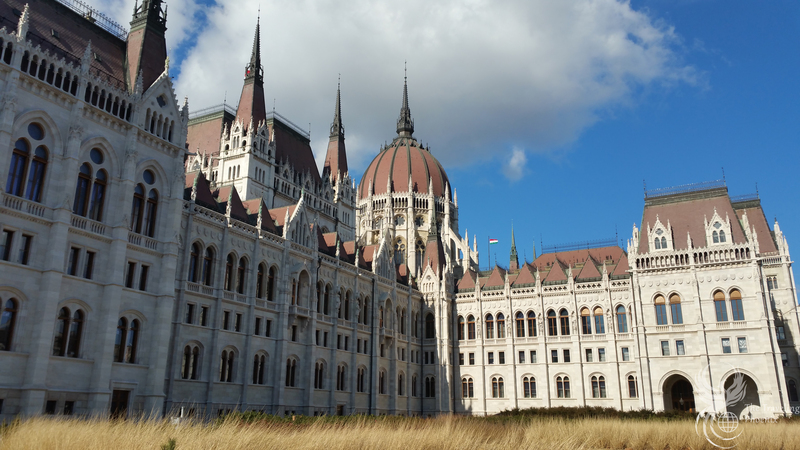 The Parliament Building is right in the same area as the memorial so we walked through the grounds a bit before heading back to our flat to rest up. We thought about touring the Great Synagogue. Forgetting it was the sabbath, it was closed for temple as it’s still active. 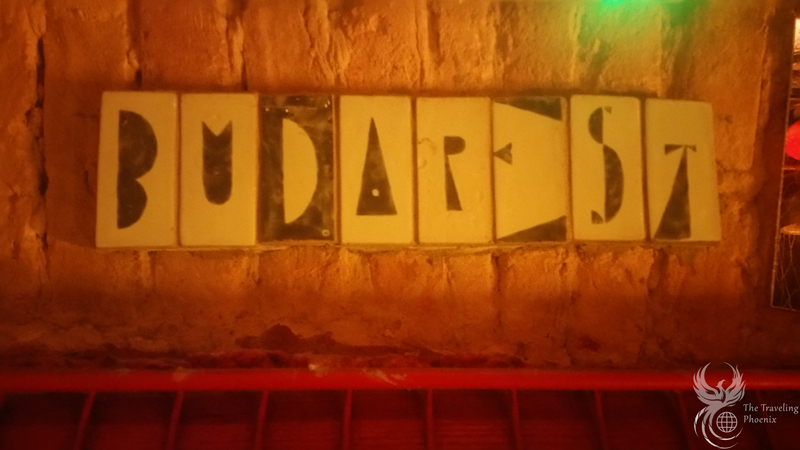 We stopped off at the flat for warmer clothes to head to the ruin bars. Ruin bars are old dilapidated buildings that were purchased by someone who turned them into a bar. However, zero updates were made to the bar. 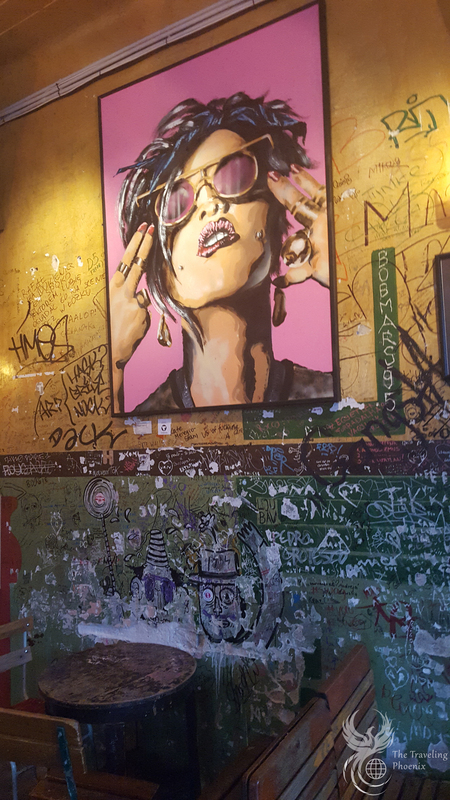 You will find very eclectically decorated bars with interesting rooms. 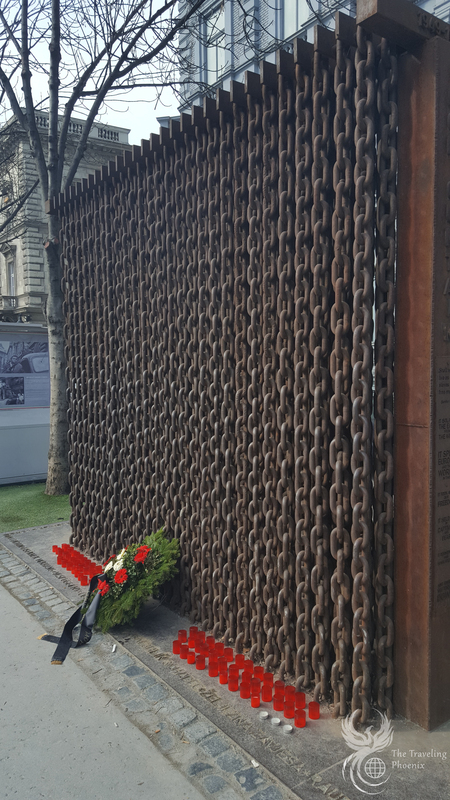 Our last full day in Budapest, we decided to check out the House of Terror museum. We attempted to take public transportation but got a little lost trying to get to the pick-up location. It didn’t take too long to walk there but would have been faster to take public transit. Walking through the museum you will learn about WWII and the Arrow Cross Party. Then you will continue walking through the history of the Soviet Union and the effects of communism. 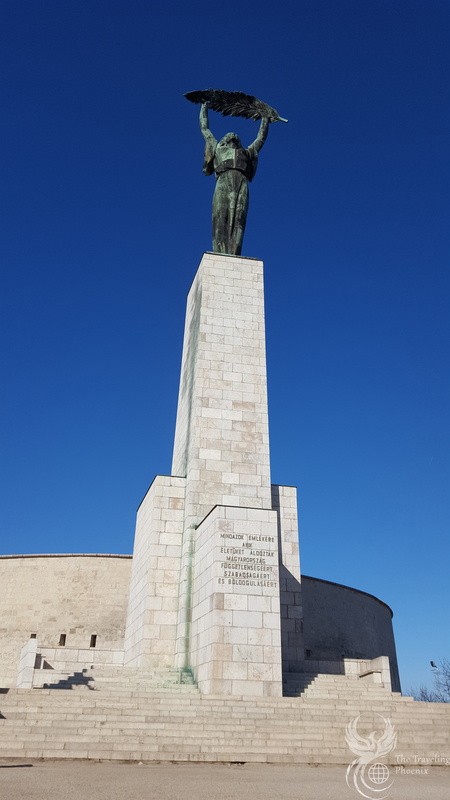 We were in the neighborhood of the Hero’s Square (aka Tomb of the Unknown Soldier) to checked that out. We managed to stumble upon an open market on the grounds of the Museum of Hungarian Agriculture. 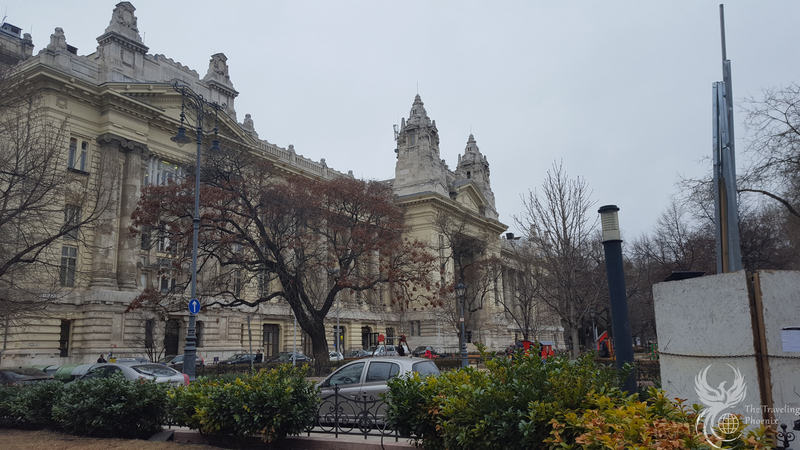 In that same area was the Széchenyi Thermal Bath. 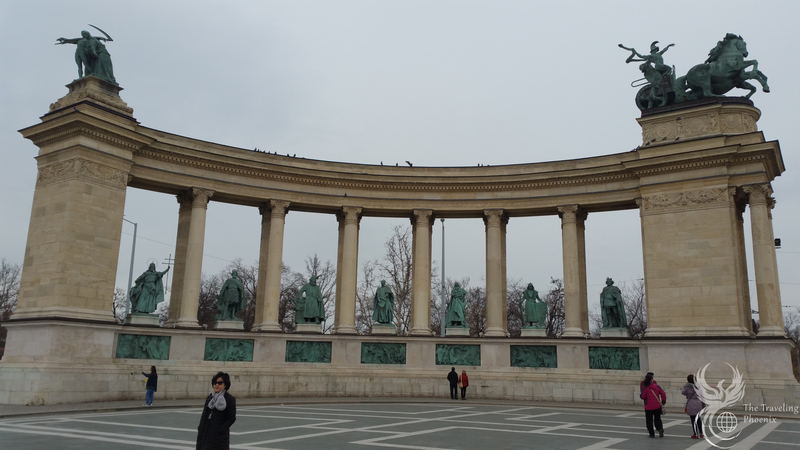 We did not visit but it is one of the popular things to do in Budapest. We did manage to find the public transit stop to get on the underground and purchased tickets. If you do use the public transit be sure to validate before getting onto the bus or train. 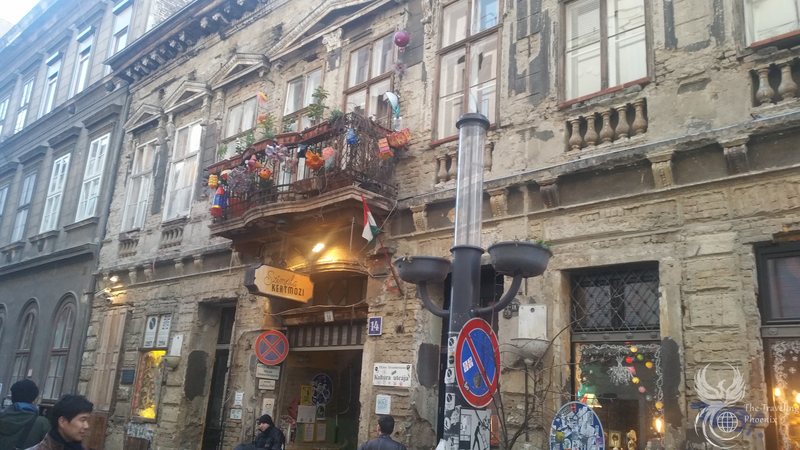 We stopped at Anker Klub off of Anker köz where I was introduced to goulash and gnocchi. It was a love affair I will never forget. 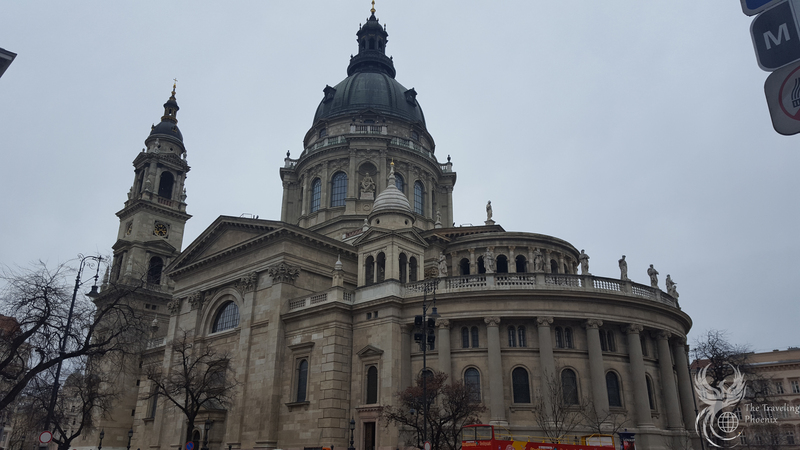 The entire time I was in Central Europe, all I ate was goulash. I am trying to recreate the recipes at home but have not yet been successful… Practice makes perfect, right? 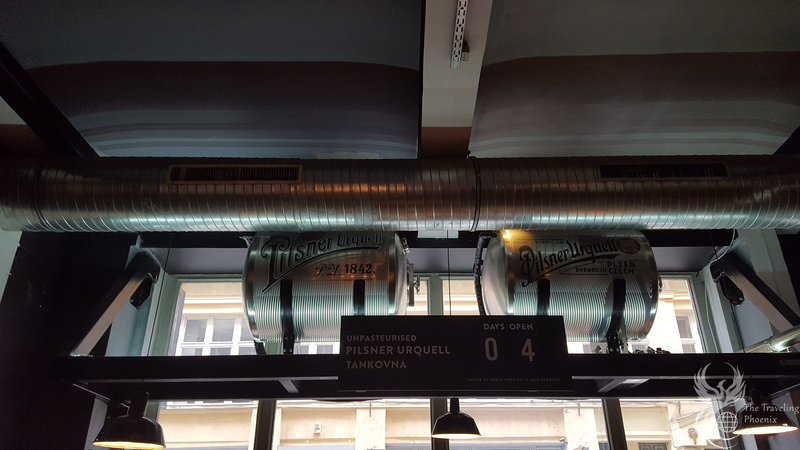 The restaurant also had some fresh Pilsner Urquelle! Yum, we had a few glasses. We ended the day with a tour of the Great Synagogue. You pay a few bucks to get in, find the section with your language and enjoy the tour. 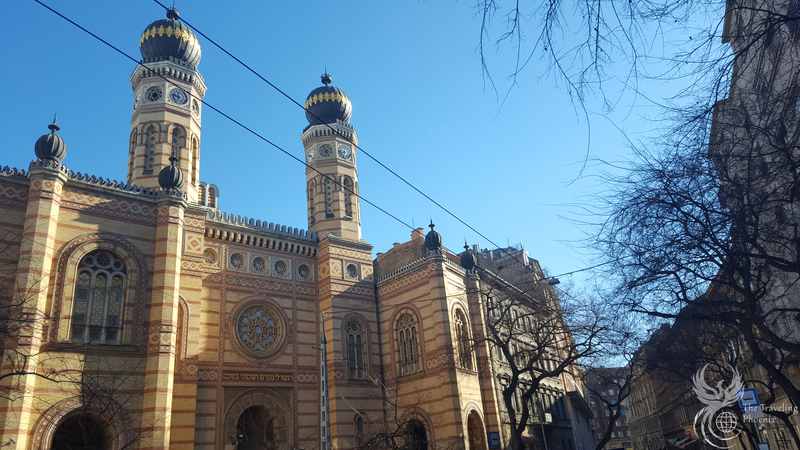 The tour included a history of the Synagogue itself and the history of WWII. You then get a tour of the place and the grounds where you then end with the Tree of Life memorial to remember those who suffered during WWII. We ended the night walking around to a few more bars in the Jewish Quarter before ending up at Skål. Our favorite bartender was there! So, we had some good conversations with him before heading up to the flat. The last thing I attempted to do was wash clothes. Being in Europe, they usually have a washer/dryer combo. This means it will take about 10-18 hours to wash and dry your clothes. Rather than pushing the wet air out of the machine (like the ones in the States) it condenses the water and drains. It’s a long process and I would recommend washing and drying the clothes while you are touring the city. You might have to stop back at the flat to make sure the drying cycle starts but it’s loud so might keep you up at night if you run it then. 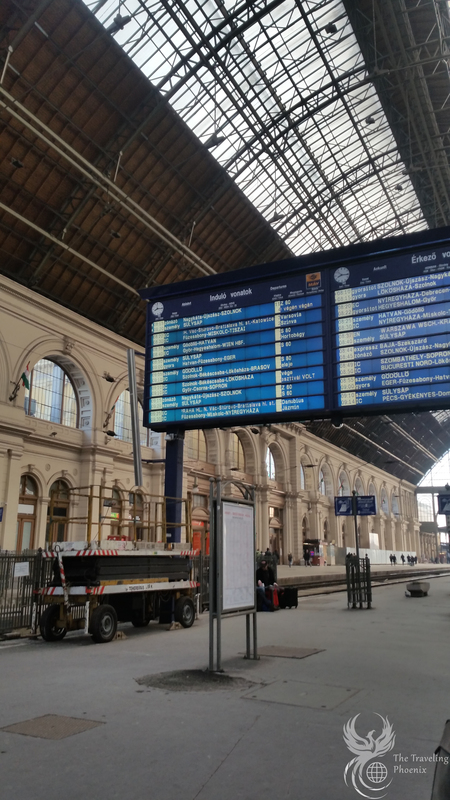 The next part of our journey was taking us to Vienna. We packed up our things, and made our way to the train station. We definitely arrived way too early… About an hour and a half before the train was supposed to leave. Being a paranoid traveler I didn’t want to risk missing the train so my husband just sided with me and we got there early. There was no inside area to wait so we were just out in the open waiting for the train to show up. Happy to report, we did not freeze and made the train.